I have been waiting for a while for some of my favourite smaller distributions to provide a new release and then they all do it in the same week. This week saw the release of Peppermint OS 7, SolyDXK and Point Linux. I had to toss a coin to decide which one to review first. Unfortunately Point Linux was given a much smaller chance than the other 2 as Peppermint got heads, SolyDXK got tails and Point Linux was given the unlikely event of it landing on its edge. I really like Peppermint OS and I am glad that a new release is out. For weeks now I have been limited as to which distributions I can review on this new Lenovo Ideapad as I needed one which has a recent Kernel so that I don’t have to backport drivers. Yes, yet again I am subjecting a distribution to the ultimate test. Will it work with newer hardware. Peppermint OS is designed to be lightweight, yet fully functional. It is easy to install and easy to get up and running. There aren’t many applications installed by default but you have all the tools at your disposal for installing exactly what you need. There is also something called the ICE tool which lets you set up web applications so that they look like desktop applications. 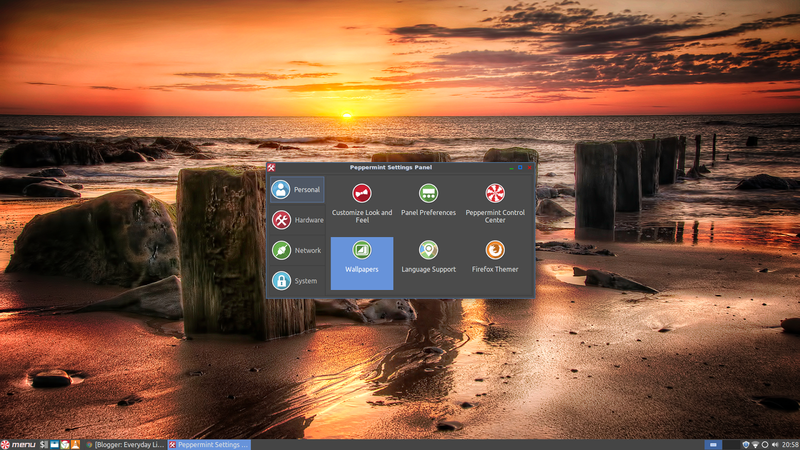 Version 7 of Peppermint OS is based on Ubuntu 16.04. The kernel is therefore set at a respectable version (4.4.0). 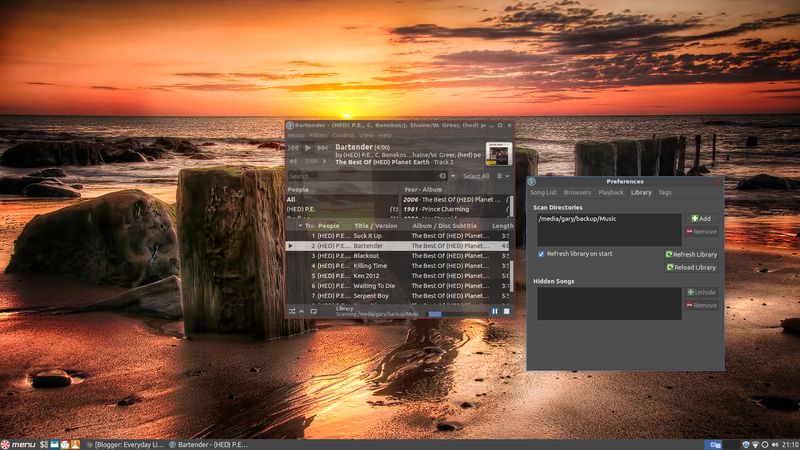 The desktop is a mixture of LXDE and XFCE. 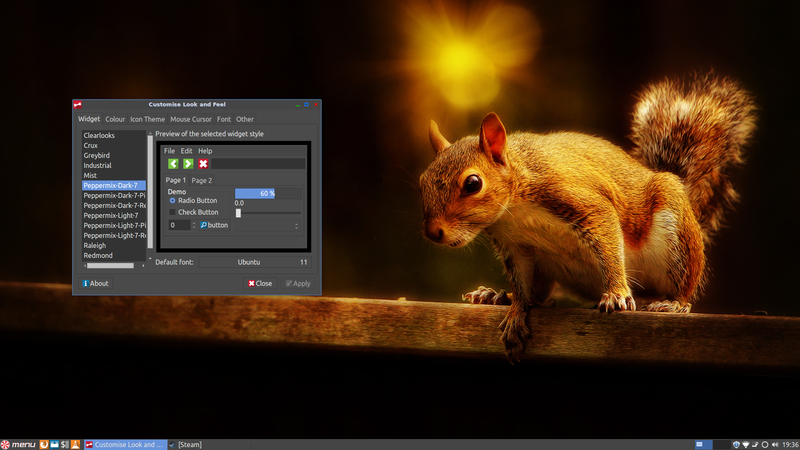 The XFCE panel is used which has enabled the developers to include the Whisker menu which is lightweight but more modern than the LXDE menu. The default browser has been switched to Firefox and there is a new Peppermint settings panel. You can download Peppermint OS from https://peppermintos.com/. There are 32-bit and 64-bit versions available. You can use Win32 disk imager to copy the ISO onto a USB drive and you can follow any one of these guides for a creating a bootable Peppermint USB drive. First things first it is always a good idea to backup your computer first. You will then need to create some space for installing Peppermint. Finally boot into Peppermint OS live and run the installer. You are given the option to connect to the internet. If you connect to the internet you will be able to download updates whilst installing Peppermint OS. This is either a good or a bad thing depending on how fast your internet connection is. You can now choose to install third party drivers and install multimedia codecs. Options will now appear which will enable you to install Peppermint alongside other operating systems, over the top of other operating systems or something else which is for the more advanced user. A message will appear telling you that partitions are about to be created and wiped. If you are sure you have done everything correctly go ahead. Choose your location from the map. A really nice desktop wallpaper image always sets a good tone when you first boot into an operating system. 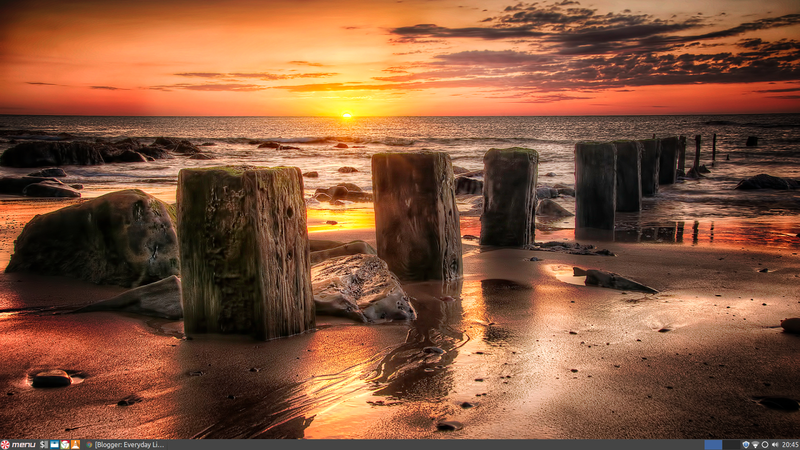 It has to be said that all the wallpapers that are pre-installed with Peppermint OS 7 are stunning. 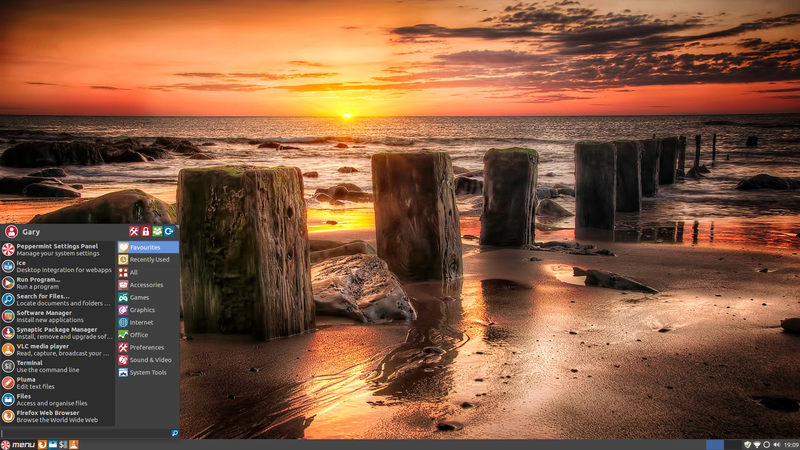 As well as a nice wallpaper there is the XFCE panel at the bottom of the screen. In the bottom left there is a menu icon which displays the Whisker menu which is new to Peppermint OS. Peppermint OS is built to be lightweight so the Whisker menu whilst an improvement on the LXDE menu is not as stylish as the one that comes with Linux Mint Cinnamon or the KDE menu. (By the way if you are fed up with acronyms or there are terms you don’t understand checkout the Jargon Buster link in the menu. The Whisker menu is fully functional and provides a really nice search option. The main thing to note is how quick it is. As well as listing categories and items within categories there are also quick link options to settings, lock screen, switch user and logging out. 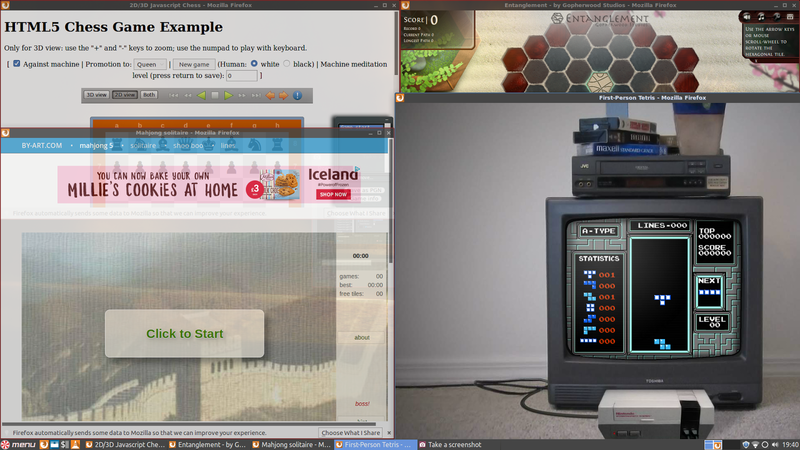 The panel has a few quick launch icons which open a terminal window, launch the file manager and launch Firefox. In the bottom right there are icons for the clock, audio settings, network settings and notifications. You can easily customise the look and feel by choosing the look and feel option from the preferences menu. 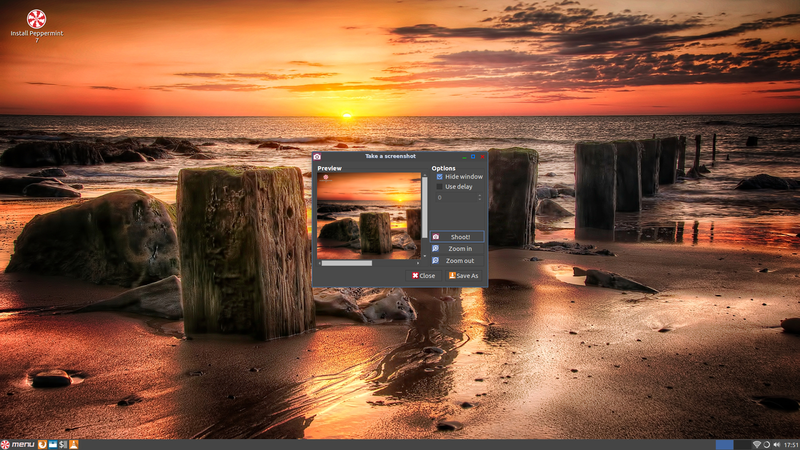 You can change the desktop wallpaper by right clicking on the desktop and choosing “Change desktop background”. At this point it is worth mentioning the Peppermint Settings Panel because you can access both of these items from there and more. The personal settings are cosmetic such as wallpapers and themes. You can also choose your language and decide on a Firefox theme. The hardware settings lets you set up printers, add additional drivers for things like graphics cards, adjust sound settings and power settings. The network settings lets you manage network, bluetooth, Samba shares, Advert blocker and the firewall. The system settings lets you set up new users, change date and time settings, choose default applications, use the disks utility and run the update manager. It all looks very clean and the themes throughout Peppermint OS work very well. I have installed Ubuntu, Linux Mint and PCLinuxOS on this computer thus far and all of them have given me slight issues with the WiFi. Linux Mint was the worst because it required backporting but I expect that to change when the new version comes out next month. Ubuntu hard blocked the WiFi driver and PCLinuxOS soft blocked it. Peppermint OS gave me no issues whatsoever. It just works. Simply click on the network icon and choose the network. I chose to install the third party tools whilst installing Peppermint and therefore MP3 audio worked out of the box. Peppermint comes with very few applications installed by default. This is all part of the plan however. The Peppermint team leave it for you to decide which applications you want installed. You certainly have all of the utilities you need installed such as archive managers, disk managers, file managers, a text editor and a terminal. You also have access to Dropbox, Firefox and Bittorrent. There is a PDF viewer and an image viewer as well as the VLC media player. That is pretty much it except for the ICE tool which I will come to later. Under the games section you will find a few games including solitaire, Mahjongg, Chess and Tetris but there are all examples of what can be achieved using the ICE tool. The ICE tool provides a method for turning web sites into desktop applications. You simply need to enter the name of the application and a web address to the application, specify the menu category and choose an icon. There is also an option which lets you decide the browser the application opens in. You can now launch the site via the Whisker menu and the window opens like a standard desktop application. The ICE tool is great for commonly used web applications like GMail, Skype, online banking and Youtube. This tool gets better with every release of Peppermint OS. It is quite a simple concept but it is done very well. You can of course install applications for yourself. There are two graphical tools installed which allow you to install software. 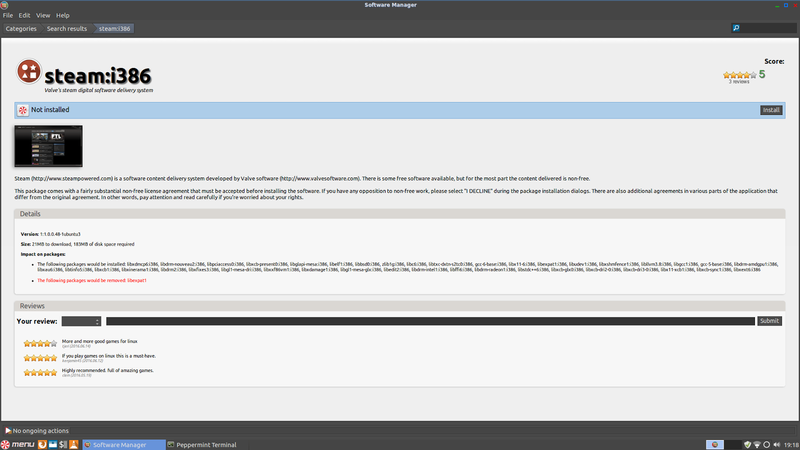 The software manager has a stylish, modern interface with icons for categories and a search bar. There is also the Synaptic package manager which is less attractive but 1 million times more useful than most other graphical package managers. 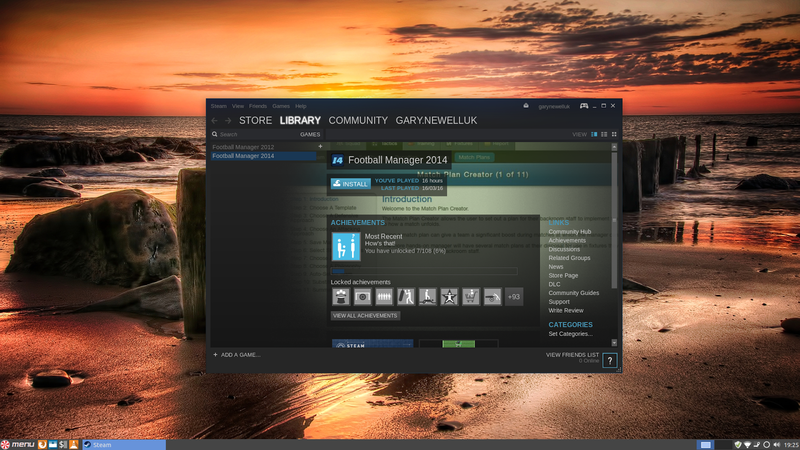 When I first ran the Software Manager applications like Steam didn’t show up as options. I had to run sudo apt-get update first and this had the desired effect of showing the additional drivers for my Nvidia card as well as the Steam installer. So last week I had a little bit of a rant about Steam because quite frankly the deployment of Steam annoys me. Peppermint seems to have got something right however because it shows up in the installer and after the rather tedious update it simply loads without any errors at all. Makes last week’s rant make me look a bit of a mug. Hey ho, well done Peppermint OS. It is very early days. It really has just been released. I can say however that I haven’t had any problems at all at this stage. The installation was seemless. The installation of drivers was seemless. The audio settings worked straight away. I was able to connect to the internet. I have been able to install all the software I require. I like to watch videos by the Linux Help Guy who has changed his Youtube channel to English Bob. He has always been an advocate for 2 distributions and they are Peppermint OS and Manjaro. I have to say he is going to be over the moon when he tries this out for the first time. It has been such an easy experience thus far and the theming is excellent. There isn’t really all that much to review software wise but the way Peppermint integrates web applications with desktop applications is really nice. I highly recommend this. One of the best distributions that I have reviewed recently. Pep 7 is great for my desktop. i had problems with my asus t300chi with font size and bluetooth speakers so i installed mint 18 cinammon over windows 10. in 20 minutes: FLAWLESS! thanks for this helpful review. Peppermit 7 really looks stunning. Did you check how much memory the distro used after booting? I'd like to try it out on some oldish laptop with only 2 GB ram. i started a toshiba satellite notebook with 2gb ram with peppermint 7 usb key and after loading the desktop it uses about 250mb ram, so i think it will work well on your machine also. anyway you can always test it from a bootable usb without the worry of having to install it on your hard drive. i suggest you to download the iso, and burn it onto a usb using the excellent tool unetbootin, either from a linux or a windows machine. This is certainly Peppermint's best yet! Cool, thanks for the review. I was a little hesitant given the 16.04 base…but I think I'll give it a spin. I haven't tried Ubuntu in the past three years. What's so horribly wrong about 16.04? Many thanks for the excellent review ! I first tried Peppermint at v.5- it was OK but did not grab me. But after reading your review I decided to give Peppermint 7 a try. Am I glad that I did. It is beautiful to look at, really flies, and everything just works. 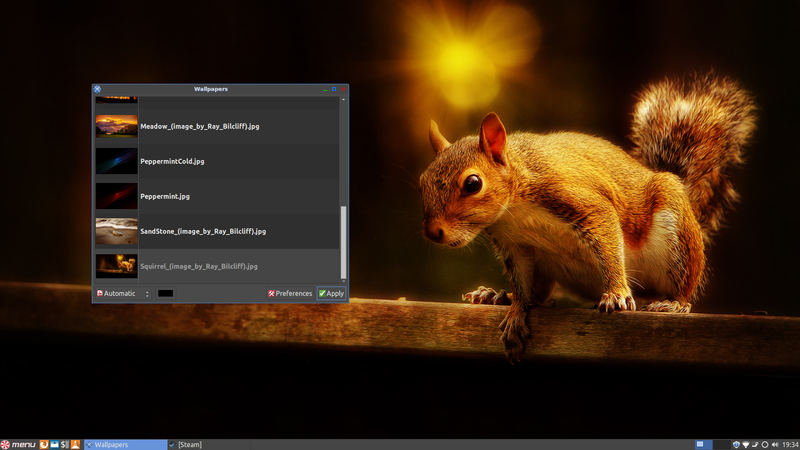 The blend of LXDE and XFCE works really well. Well done, Peppermint team !!! Loving it so far. Runs way better than any os I've tried on my Gateway NV53. Everything just works with peppermint. I love it. Wifi, network printers, servers with little configuration. 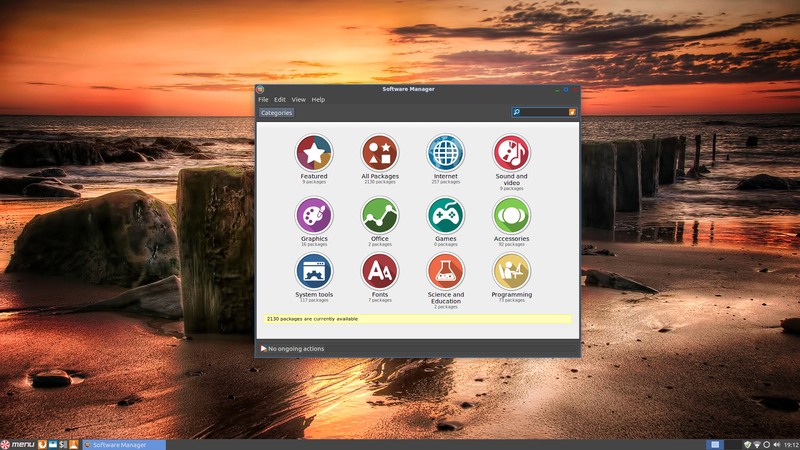 The best linux I have used so far. I have been using LXLE for the past 3 years. I switched totally to Linux after the demise of XP. 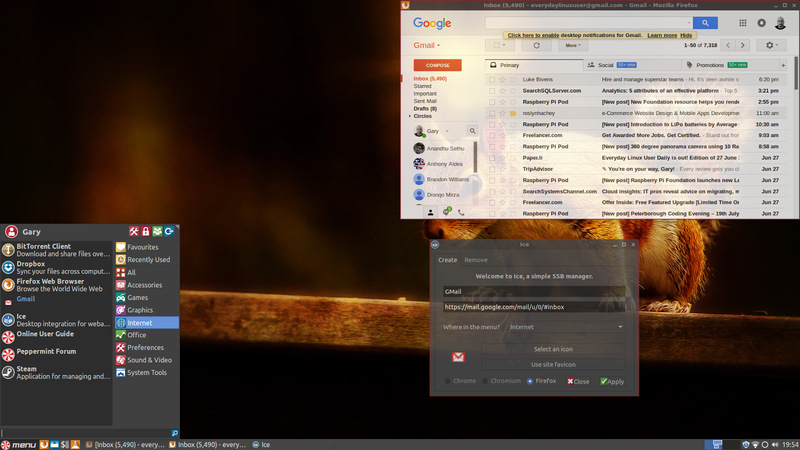 After trying many different distros at the time LXLE was the only one where everything seemed to work. 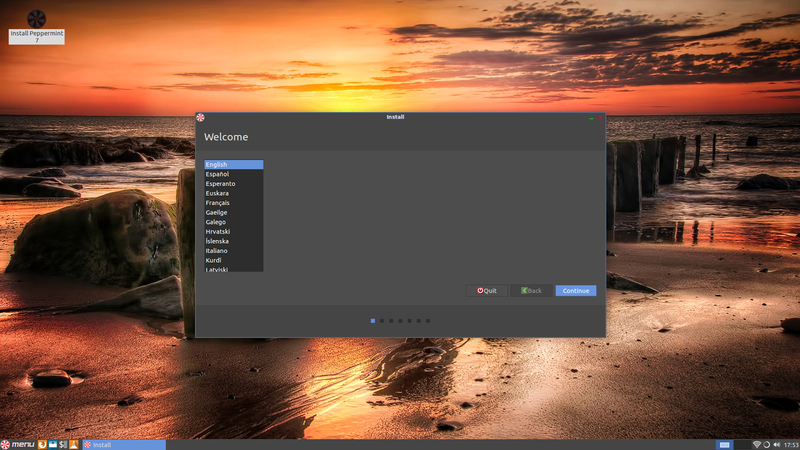 I was not so happy with the newer releases of LXLE so for the past couple of weeks have been trying out some different distros. My short list came down to Peppermint or Manjaro. Peppermint is the only one that has installed on different laptops with no problem. I have kept Manjaro on one laptop as I like the rolling updates but for day to day use I will now be using Peppermint. Oldest laptop I have installed it on is a Dell Inspiron 6000 with a Pentium M 1.73ghz and 2gb ram and it runs fine. For older laptops with 2gb of ram I use the 32bit version. Others which have 4gb + of ram, I use 64 bit although looking at RAM usage of the 64 bit version, it rarely goes over 3gb. In my opinion, Peppermint is a great distro. It works out of the box, is fast on older hardware and I like that it comes with the minimum of apps installed so I can install what I want. I have used a lot of different Linux Distros , trying to find something for my wants and needs. Peppermint OS 7 definately nailed it. Looks great and is super easy to use. For everyday use and more , I think it is absolutely wonderful. I kept going through distros every month…things heavy hitters like Ubuntu (and it's siblings) , KDE's , Mint's , suse , etc….and countless others. Found this and fell in love. One thing I really like is that it comes with a system-wide EQ. 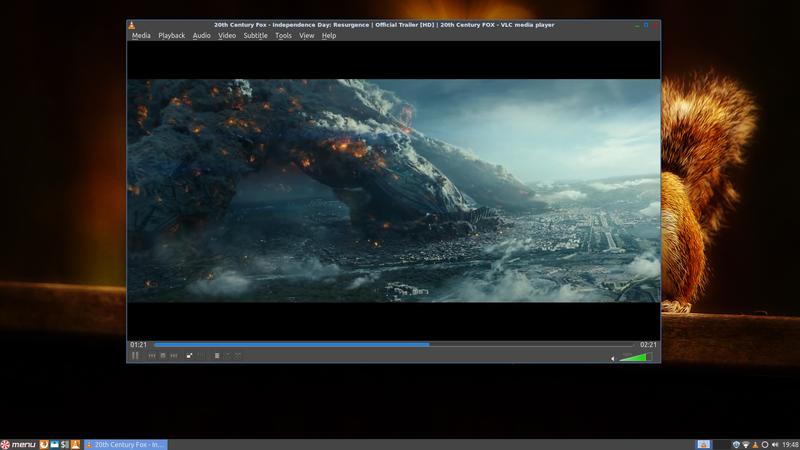 Really handy for movies off Netflix , VLC , Clementine , etc. I can just set the EQ how I want it and never touch it again , and it works across all the above mentioned. Easy to install and remove software with Software Manager. Easy to download and install stuff GDebi. The OS is very appealing to the eys and customizable. Everything is extremely easy to navigate. This is a great linux system for nove to advanced users. I recommend it to everyone. Always come back to Peppermint, it works, its fast, but of paramount importance, you can turn off -tap to click- easily, it recognises my wifi, runs on Pentium III desktop just as well as on new HP15 laptop, I might cheat on it now and again, try out other distros but I always regret it and come crawling back, system wide Ad Block (in Settings Panel) is new to me (thanks Gary), having seen it first in Antix 16, is great. Absolute smash.